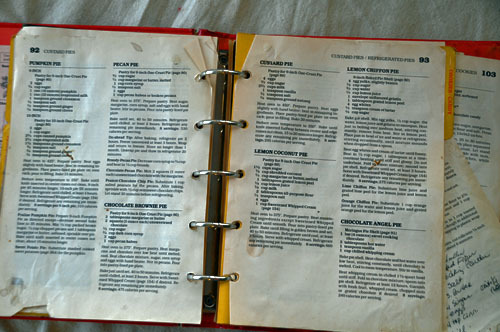 There may be hundreds of pie recipes pinned on Pinterest, and I may have the latest and greatest cookbooks in my cabinet. But when it comes to Pecan and Lemon Meringue Pies, I never vary. I pull at the same Betty Crocker cookbook, and make the same two pies, in the same exact way, for two very special people, every Thanksgiving.